A cool breeze filled the room where I was sleeping in West Newbury Vermont, it was 4AM and you know what they say “The early bird gets the worm” or in this case “The Moose”. After throwing on some clothes I quietly went into the boys room, they were sound asleep. I woke them and asked them if they wanted to come with Ian and I to Long Pond in search of the elusive moose. They responded with a a groggy NO. The placid waters of Long Pond in Benton, NH. Long Pond is abundant with wildlife. Otters, Beavers, Hawks, Osprey, the occasional Bald Eagle, Loons, Ducks, King Fishers, many species of birds and Moose make their residence here. 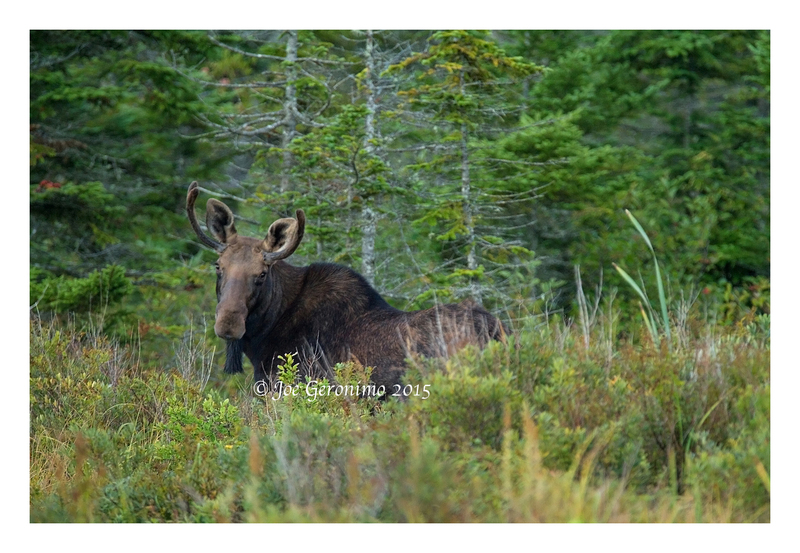 I’ve been on the hunt to photograph the elusive moose in the wild for three years now with no luck what so ever. As Ian and I made our way around the pond we decided to split up in order to work several different coves. Paddling my way towards the south end I came across two adult Loons and their chick. I spent the better part of a half hour working with them before moving on. I’m at the south end sitting in the shadows as the sun begins to highlight pockets of the pond. The water is like glass and I am just floating, thinking and taking in my surroundings. Actually I was really trying not to fall asleep. Then all of a sudden to my unbelieving eyes a young bull moose walks right out of the brush and into the shallows of the pond. I began to shake with excitement! I actually froze for a moment and then slowly reached for my camera. I was still shaking as I clicked off a few frames, my lenses imagine stabilization motor working making a humming noise as it works. The moose finally took notice of my presence and began to move around the shoreline. I clicked off a few more frames. The light was horrible but I didn’t care as this was my moment. This moose would stay in sight for about 10 minutes before disappearing back into the woods. 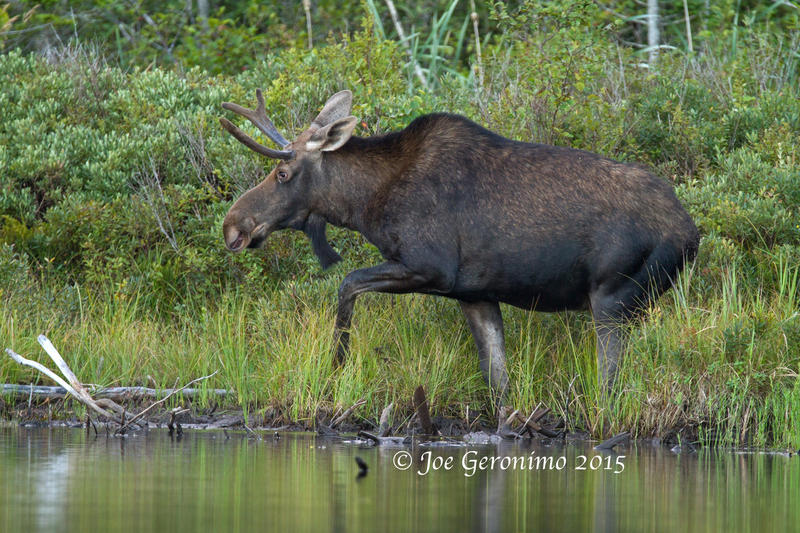 Young bull moose Long Pond Benton, NH August 28th 2015. Putting my camera down, grabbing my paddle I raced back up the pond to find Ian with that triumphant feeling. A feeling of utter accomplishment that I have longed for. I found Ian sitting behind one of the many rock islands dotting the pond’s landscape in hopes of photographing the playful Otter’s. As I approached I was fist pumping and Ian knew right away what I had just photographed. 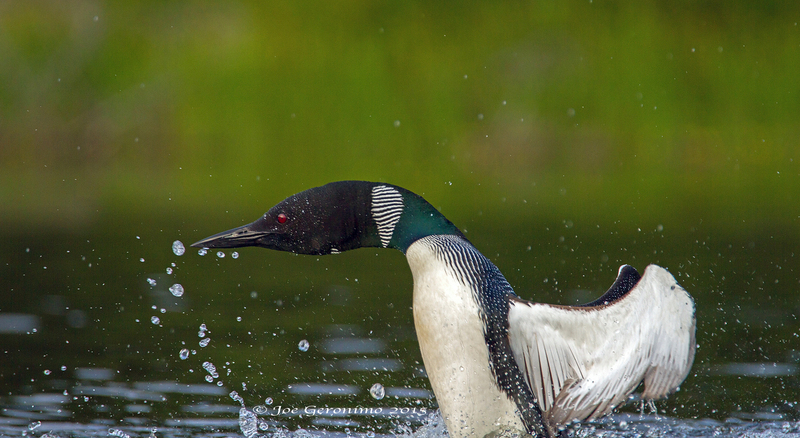 We spent a few more hours on the pond pursuing the Loons, watching the Osprey fish and the King Fisher’s scramble like fighter planes on an aircraft carrier. 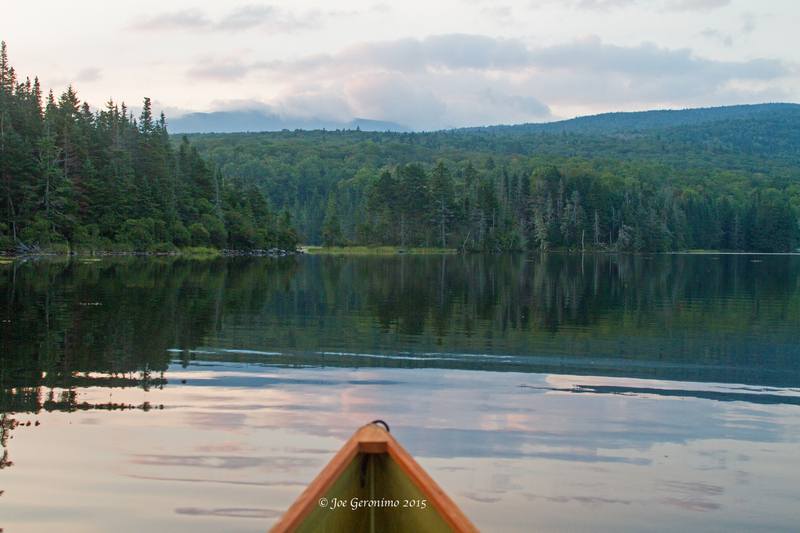 We would spend the next several mornings on Long Pond with the hopes of photographing another moose. Our hopes weren’t enough and we didn’t see another moose. 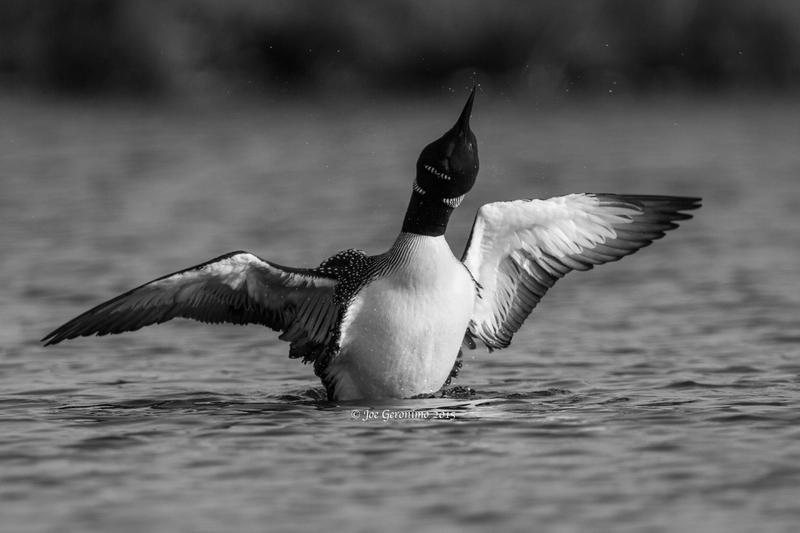 However we the privilege of photographing more of the Loons in depth. 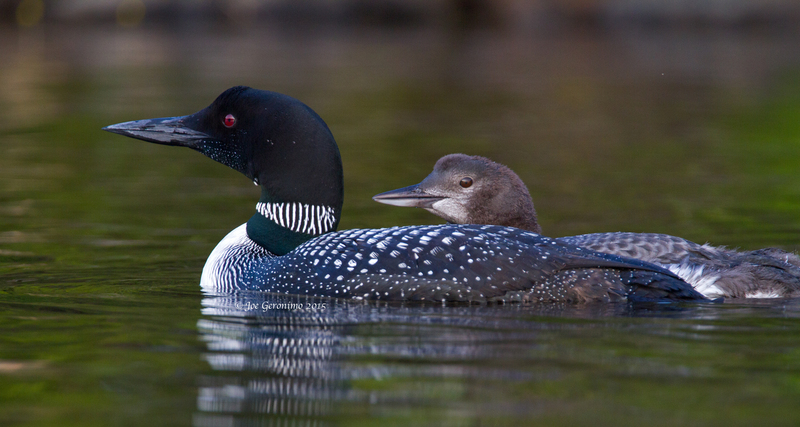 I’ve been drawn to the Loon for quite sometime now as they are truly an interesting and beautiful animal. At the end of this month Ian and I will embark on a trip through northern New Hampshire and Maine again in search of the moose. 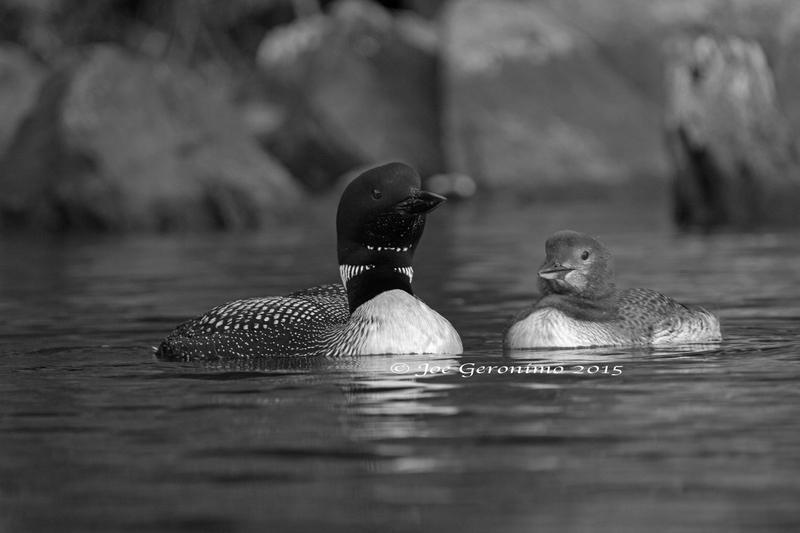 Common Loons on Long Pond Benton, NH.